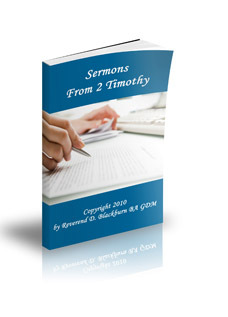 Sermons on 2 Timothy are a collection of sermons from Paul's letter to his young protege. Sermons on 2 Timothy are brief and to the point with a short introduction, a succinct outline of the body of the sermon and a brief conclusion. 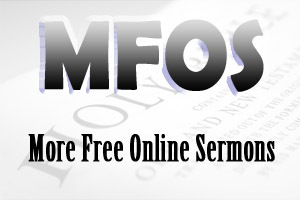 These sermons have been made available to help people prepare sermons for their congregation. Reading other sermons often inspire ideas for preparing sermons for your own congregation. 2 Timothy 1:1-18 is a passage of Scripture that inspires Christians to rekindle the spiritual fire within. Overtime, the spiritual fire within can dim, the desire to serve God can wane or our desire to follow God can waver. Before we know it, other things can take priority and we often lose our way. So it is very important that we continually fan into flames the spiritual fire within, to encourgae each other to keep focused on the building of the Kingdom of God. There are many things that can put the fire out - suffering, hardships, hurts, spiritual battles, tiredness, persecution, highs and lows of life, opposition, ill-health, lack of support, etc, etc. Timothy struggled with ill-health, he was young, shy and emotional and he faced opposition to his ministry. All this affected his passion for God. So Paul wrote this letter to encourage him not to fall in a heap but to rekindle the spiritual fire within. For more information on this sermon, click on Sermons on 2 Timothy 1. Mary had grown up knowing that she was different from the other kids, and she hated it. And she hated it with passion. She was born with a cleft palate and had to bear the jokes and stares of cruel children who teased her non-stop about her misshaped lip, crooked nose, and garbled speech. With all the teasing, Mary grew up hating the fact that she was 'different'. She was convinced that no one, outside her family, could ever love her...until she entered Mrs. Leonard’s class. Mrs. Leonard had a warm smile, a round face, and shiny brown hair. While everyone in her class liked her, Mary came to love Mrs. Leonard. In the 1950's, it was common for teachers to give their children an annual hearing test. However, in Mary's case, in addition to her cleft palate, she was barely able to hear out of one ear. Determined not to let the other children have another 'difference' to point out, she would cheat on the test each year. But not on that day! Surely God put seven words in Mrs. Leonard's mouth that changed Mary's life forever. When the world teased Mary about her looks, Mrs. Leonard did something different. Seven words made a difference to this little girl. Seven words of encouragement helped Mary through a difficult time in her life. Paul wanted to encourage Timothy through a difficult time in his life. We must accept the negatives and get on with the building of God's kingdom. For more information on this sermon, click on Sermons on 2 Timothy 2.